﻿ Search Engine Ranker web promotion software. Website promotion software, internet marketing software and the best SEO tools. Search Engine Ranker is a web promotion software that automatically builds niche relevant backlinks to improve your search engine rankings. You can submit your website to different types of platforms, including directories, engines, social networks, article sites, blogs, forums, wiki sites, web 2.0 and many others. The software will automatically find new website platforms related to your keywords and is able to promote an unlimited number of websites. This software runs on auto pilot building quality links for your sites 24 hours a day and 7 days a week. Be smart and download Search Engine Ranker today! Try it free for 5 days with full functionality. Your website promotion on autopilot today! 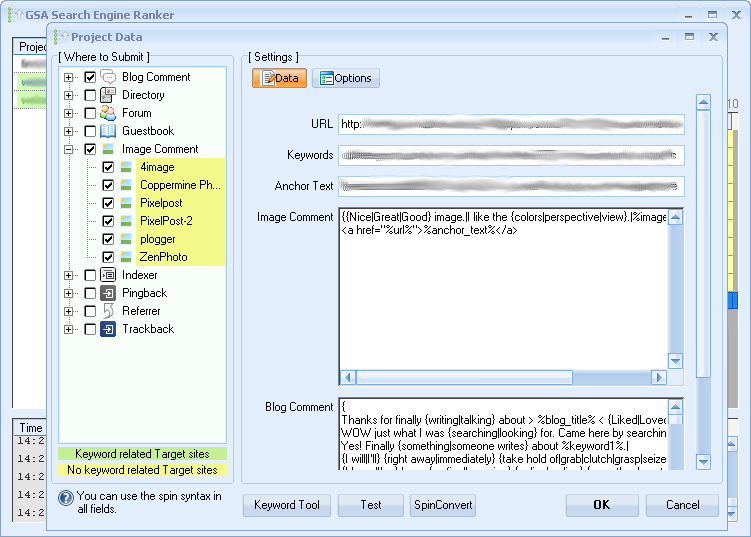 Build backlinks totally automated to be on top and dominate search engines on your selected keywords. Never worry about backlinks again. Search Engine Ranker runs endlessly creating quality backlinks for your sites 24 hours a day and 7 days a week. Unlike other SEO tools, Search Engine Ranker does not need a submission site's database. It will intelligently find new submission sites on the net targeted to your keywords and website theme and automatically submit your site to them. Its fast multithreaded submitter allows the users to chose the quickest and most reliable link building speed for their projects. Search Engine Ranker features fully automated submissions including automatic account registration and automatic email verification for all submission sites making the promotion work easier and faster than with any other tool in the market. Search Engine Ranker will also verify all website submissions making sure that the link was really placed and where it was placed. You can review all created backlinks in real time, including its type, dofollow or nofollow, anchor text placed, google rank of the site where it was placed, number of outgoing and incoming links and much more. Establish your own promotion rule sets so that Search Engine Ranker only submits to sites that match your settings, like only submit to high page rank sites or skip submission to sites with too many outgoing links. It offers the ability to users to choose the quality of the backlinks by using a complete range of filter options which means that you can easily fine tune your projects to focus exclusively on high quality link building. Promote as many websites as you like. You can define an unlimited number of web promotion projects and Search Engine Ranker will get them all submitted simultaneously. The link's anchor text and description automatically varies for each submission according to your definitions and is always related to your site and keywords to obtain a clean and high quality link profile. To avoid creating duplicate content the software uses its own configurable spinner engine and also supports third party tools. Search Engine Ranker provides full character encoding support allowing to promote any international website as well as submit to any sites independently of their language. Detailed web promotion reports including graphics are built in real time for each project. These reports can be exported to csv or txt files for the user convenience. When used with its companion software SEO Indexer, the program will automatically inform search engines about your backlinks, index them as they are generated to further promote your site and increase your traffic exponentially. The software can be used together with Captcha Breaker (or also with external captcha services) to automatically submit to sites that require captcha input without the need of user intervention. Its simple script engine allows advanced users to create new platforms where to submit, converting the software in a universal submission tool able to support any submission system. Among already included platforms you can find directories, engines, social networks, article sites, blogs, forums, wiki sites, web 2.0 and many others with more added on a regular basis (over 100 different platforms as of today). This helps you accomplish a huge and qualified link diversity for your site. Set each website promotion project once and never worry about your site promotion again! Search Engine Ranker is licensed for a single PC. However you are free to install the same license on another computer as long as the program is not running simultaneously. License Free software. Try it free for 5 days with full functionality. Free and frequent automatic software updates for life. Life time license. No monthly subscriptions! Buy it once and use it for life! Install on any Windows system. Click on the download button above and when asked by your browser select to save the installation file in any folder of your choosing. 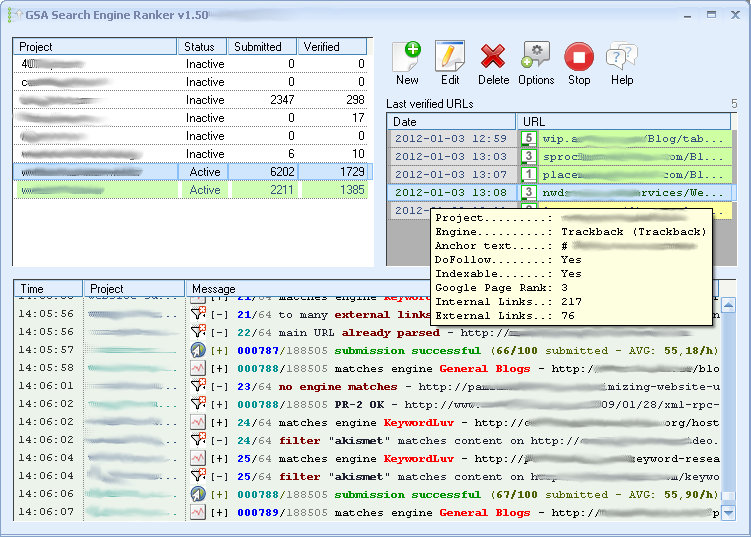 The Search Engine Ranker .exe installation file will be downloaded to your PC. Open Windows Explorer, go to the folder where you saved the installation file and double-click on the .exe file. Search Engine Ranker installation will start. Follow the installation steps and in no time you will have this excellent software ready to use. Enjoy! 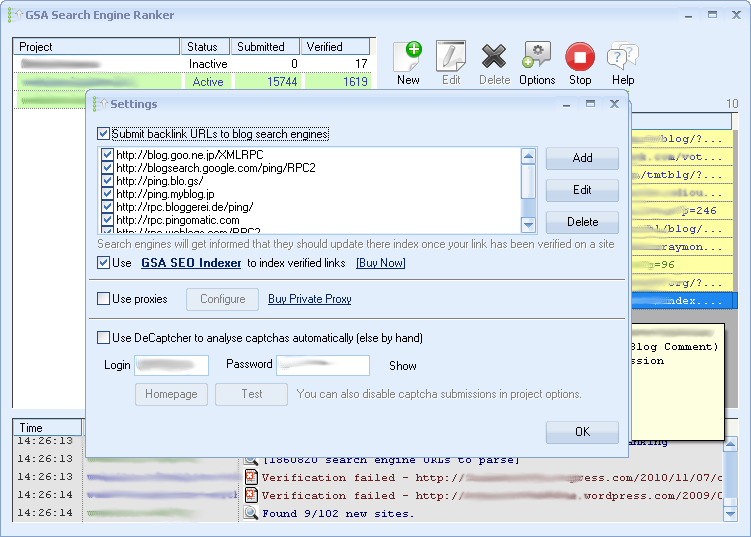 Click on the images above for Search Engine Ranker, Captcha Breaker and SEO Indexer free software downloads. For Bitcoin miner devices and hardware please click here.